The commingling of hip-hop and ambient music has been a thing since whoever, presumably jokingly, first threw out the phrase “illbient,” then watched in horror as it joined the portmanteau heap. DJs Spooky and DJ Shadow, RJD2, J Dilla, Madlib—all have dabbled in marrying boom-bap beats to gauzy loops of synthesizer and wordless vocals, and countless electronic artists have returned the favor by incorporating hip-hop influences into their more traditional, house- and trance-derived works. But as a specific genre that isn’t even officially recognized as one, those sorts of ambient-derived, instrumental hip-hop artists have arguably had their biggest breakthroughs this decade, embodied by the success and acclaim accorded to Clams Casino. 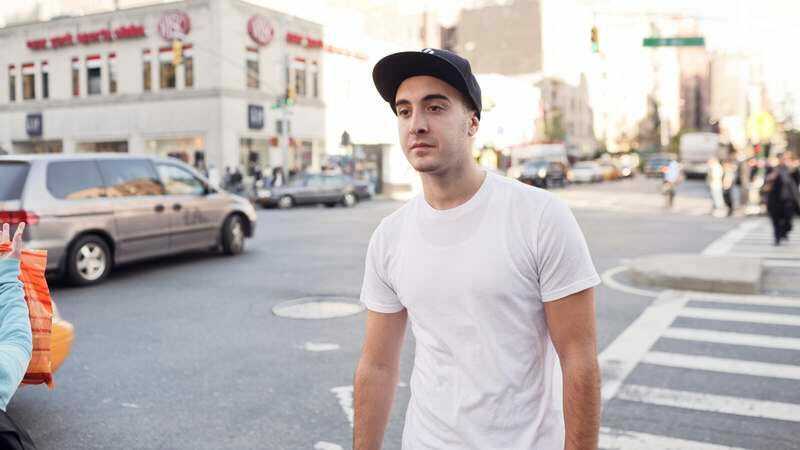 The producer name of twentysomething physical therapy student Michael Volpe, Clams Casino first garnered attention in 2010, after his work on Lil B’s “I’m God” turned people on to what would he would soon adopt as his signature style—dreamy, dubby beats, watercolor-smeared with synth-pads and ethereal, pitch-shifted vocal samples (in this case, Imogen Heap’s “Just For Now,” chopped and stretched). After doing more backing tracks for Lil B and Soulja Boy, Volpe landed collaborations with Mac Miller, Main Attrakionz, and, most importantly, ASAP Rocky, whose breakthrough mix-tape had Clams Casino production on five of its songs—and all the good ones. Though his hazy aesthetic was nothing new for hip-hop, Volpe’s take was different. His production had a bittersweet yearning to it, a sense of emotional vulnerability that underscored the usual MC braggadocio. Rapping about guns and their dicks over a Clams Casino beat, they never sounded sweeter. But while Clams Casino all but became the architect of the “cloud rap” or “based” sound, his music works even better without the vocals. His series of Instrumentals mixtapes—released for free in three volumes—certainly proved that, but even more crucial is his Rainforest EP from 2011. Released on the stellar dark ambient label Tri Angle, home to similarly minded eerie R&B from the likes of oOoOO, Balam Acab, and How To Dress Well, Rainforest finds Clams Casino creating standalone songs like “Gorilla,” which tell their own stories without anyone grabbing the mic. “Gorilla” is a microcosm of what Clams Casino does best: It lifts off with a huge beat and soaring, wordless vocal cries, then drops down into quieter, thick-of-the-jungle moments where everything is reduced to heavily reverbed echoes, with Volpe creating a tension that’s released with an always-expertly timed thrum of returning beats. He might not have been the first to blur the genre lines, but few have painted those blurs with as many expressive colors—and few have turned as many hip-hop heads on to the many directions and untapped sources of inspiration waiting to be found in ambient music.